England’s Number One on his way to West Ham? Other signings this week? Will the anticipated arrival of Joe Hart herald a busy week of transfer activity at West Ham? With the potentially imminent signing of England number 1 goalkeeper, Joe Hart, and the early arrival in the window of Pablo Zabaleta, West Ham will have made two captures that could improve the quality of the first choice team, without spending a penny in transfer fees so far. It is all a matter of opinion of course, and I am fully aware that some of our fans on social media would not agree with me, but I am more than happy with these two new arrivals, that is of course if we finally complete on Hart. We do seem to take a lot longer than other clubs to get deals over the line. Zabaleta will undoubtedly be the first choice at right back, and whilst recognising that he is not one for the longer term, he will add stability and experience to a defence that conceded far too many goals last season. Some writers seem to believe that Hart will be a liability and is no better than the two keepers already on our books. I would disagree. He does make mistakes, but in his position, almost everybody does at times. You don’t earn over 70 caps for England without being a very good player, and you have to remember he is still the first choice England keeper, and has been so for seven years now. You only have to look at the custodians of the top teams in the Premier League to realise that none are infallible. De Gea, Courtois, Mignolet, Bravo, Cech, and Lloris were all at fault at times for goals conceded by their clubs last season, and personally I would personally put Hart in a the same bracket as some of those. At Manchester City, Guardiola didn’t rate him and cited his distribution as not being of the quality he wanted. So he went for Bravo. I know who I would want in goal for my team. City have now gone out and paid £35 million or so for another keeper, Moraes from Benfica. He is a young Brazilian yet to win his first cap. How does that fit with the work permit regulations that exist for footballers transferring into this country? We were never going to be spending that sort of money, anyway. And what will we be actually paying? That is a good question, and one that has a different answer according to the source of what we read. As a loan deal, I have seen reported from some sources that City are apparently paying half of his £100,000 per week wages, and we will have the option to buy him at the end of the loan for around £10 million. I have seen other variations that quote City paying as little as 10% of his wages, and the option to buy fee being up to £15 million. In addition there is a loan fee of between £2 million and £5 million, again depending on the writer. Whatever it turns out to be (if it happens) I believe it will be an excellent move for a very good goalkeeper, who in my opinion is certainly a better number one, and a more commanding one, than the two currently in situ. I’m not entirely convinced of the logic in obtaining a player in this way (as opposed to an outright buy), and some would argue that it only defers our outgoings for a year (and reduces next year’s transfer budget), but our owners are obviously in favour of this method. I’m also not sure of the fairness of the loan system as a whole which surely was devised in respect of young players to let them gain experience, rather than fully fledged international footballers. It will mean that for the two games against Manchester City we will need an alternative keeper, although recent experience suggests that it would make little difference against these opponents. The best keeper I have ever seen at West Ham is Phil Parkes. He was more or less the same age as Hart is now when we signed him, and he gave us more than ten years of top class goalkeeping. The fee we paid for him was a world record for a goalkeeper at the time, and showed our intent to want the best. Parkes only earned one international cap, although part of the reason for that was that there were two excellent keepers ahead of him in the pecking order, Shilton and Clemence, who between them won almost 200 caps. I’m always amazed that goalkeepers don’t command the same level in transfer fees as some outfield players. In my opinion, after top class goalscorers, the keeper is one of the most important positions in a team, yet mostly they seem to be undervalued in the market. How many of the current England squad could be picked up on loan for a year, with their current club paying some of their wages, with an option to buy for a relatively modest fee (in today’s inflated market) at the end of the loan period? And look at some of the fees we have paid for our most recent (panic) acquisitions such as Snodgrass, Ayew, and Fonte. Compared to those, we would be spending our money on someone who will actually improve the team, rather than just an addition to the squad. Of course, we still need to do more in the way of bringing top quality players to the club who can be “game-changers”, and the two that seem to be at the top of the list at the moment according to the media are Arnautovic from Stoke, and Hernandez, currently plying his trade in Germany. It would appear that Arnautovic could be signed for a fee in the region of up to £24 million, which to some seems a lot, but in the current market is probably not. Some commentators have described him as trouble, and a bit of a maverick, but he undoubtedly has talent, as he has shown at times (perhaps inconsistently) for Stoke. I remember a certain Mr. Di Canio being described in similar terms when we bought him and look how he turned out. According to reports, Hernandez can be bought for around £13 million with his release clause, but the stumbling block is apparently his wage demands, said to be approaching £150,000 per week. Many fans on social media believe that we should just pay it, bearing in mind his goalscoring record at the top level, but they forget the potential unrest this can cause amongst other leading players at the club who would believe that they should be on a par with those figures. But if we really want him, and I believe he could be the type of striker we need, then I am sure that there can be creative ways around giving him the sort of money he wants, for example, a hefty signing-on fee with payments spread over the term of his contract, or perhaps bonus opportunities based on performance. If these two apparent targets were to sign we’d have greater pace and more attacking options. And I’m sure that some current players that we wouldn’t particularly miss would go in the opposite direction. I’d really love to see us buy a top class creative midfield goalscorer such as Sigurdsson or Barkley, but believe that they are well out of our reach at the moment. 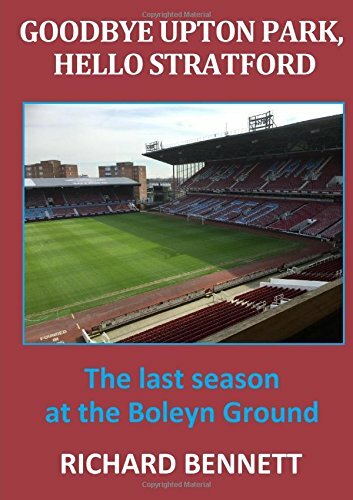 We have picked up some very good players at modest prices in recent times, with Cresswell, Kouyate, Obiang, Fernandes, Masuaku (perhaps), Antonio, Lanzini (and even Payet!) as prime examples, and it would be good if our scouting network could unearth some other gems of this calibre. You don’t have to have marquee signings at ridiculous prices to improve the team or the squad. And you never know, one or two of our youngsters could prove to be stars of the future if they are given a chance. The new season is now less than a month away. Let us hope for some exciting, positive news on the transfer front in the coming week. Next Next post: West Ham Have a Hart: Now If We Only Had a Striker!